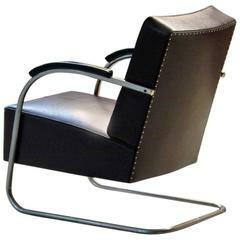 Streamline tubular steel cantilever armchair designed by Thonet, Germany, circa 1930 This original tubular steel cantilever armchair is restored on request and available in different amounts. 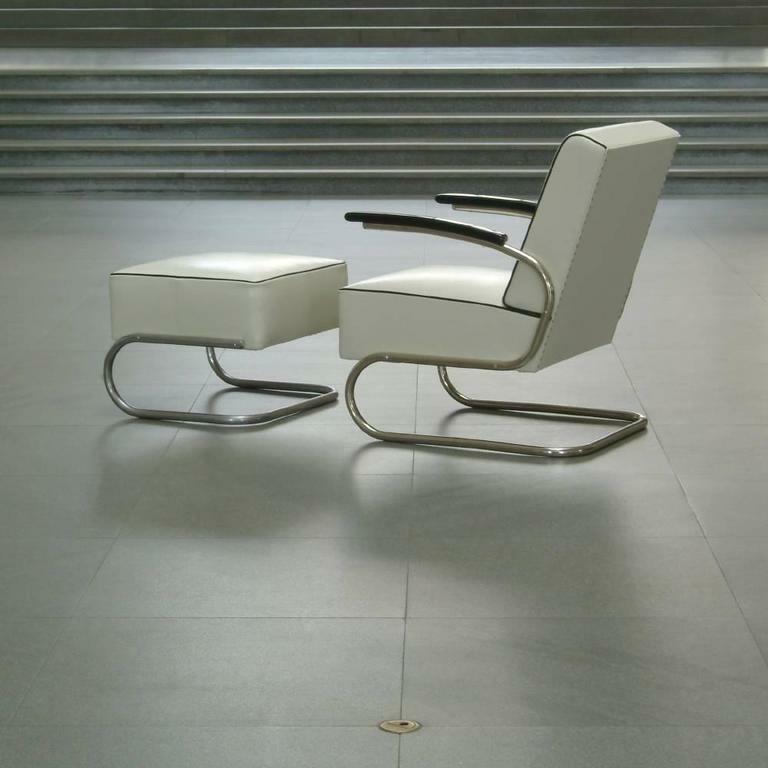 Delivery time between 6-8 weeks. 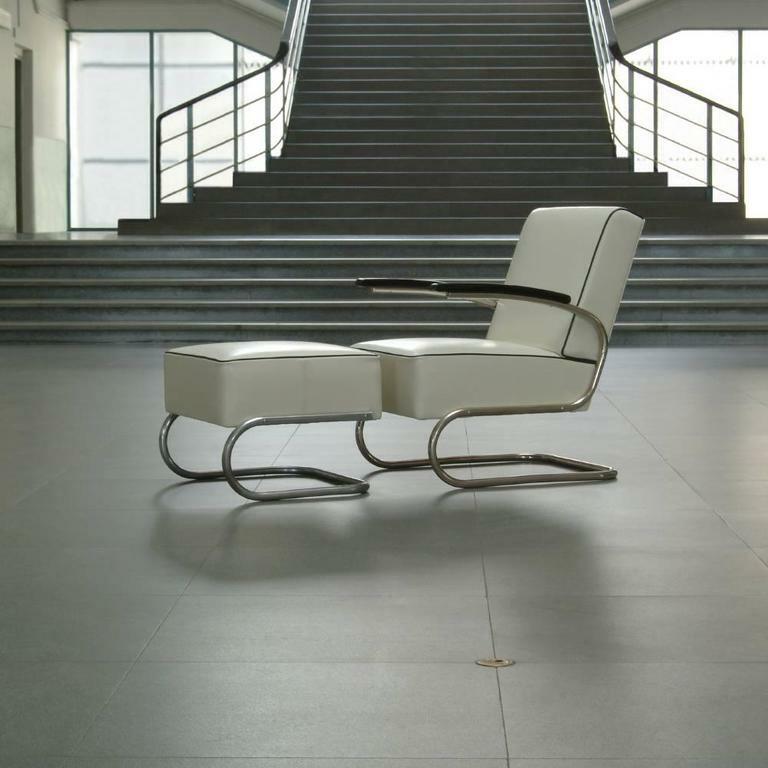 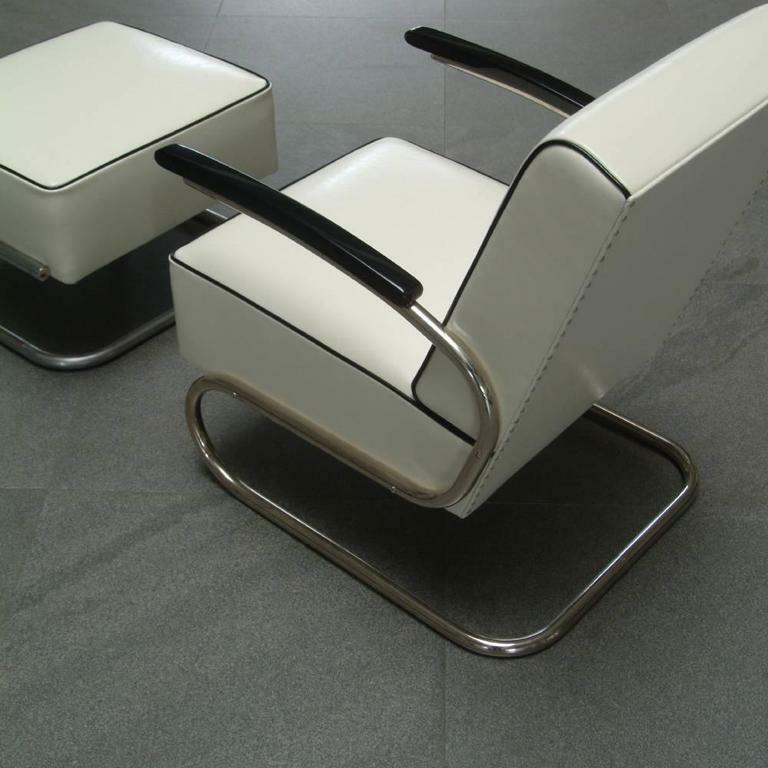 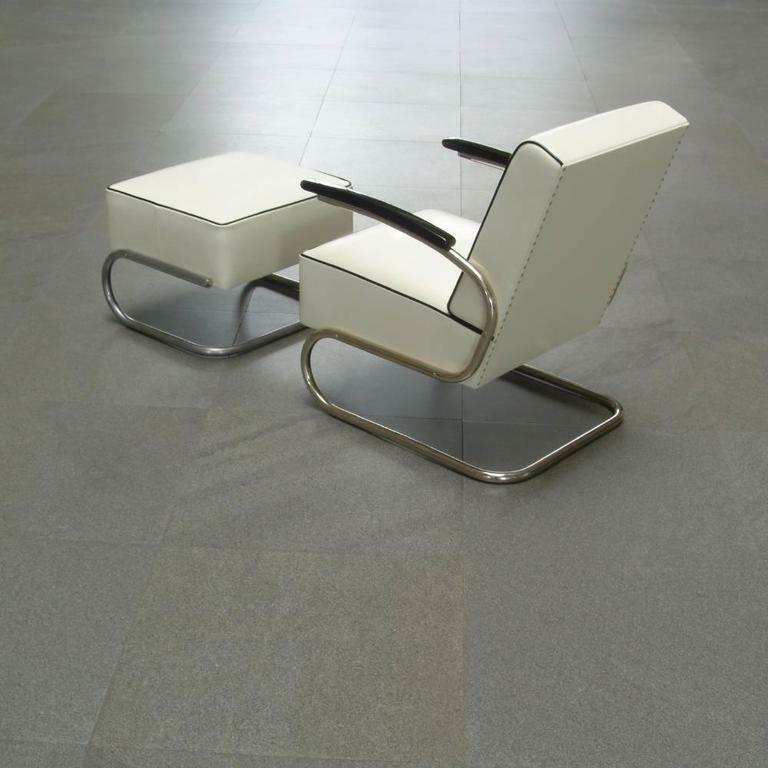 Art Déco Streamline tubular steel cantilever armchair, Germany, 2015. 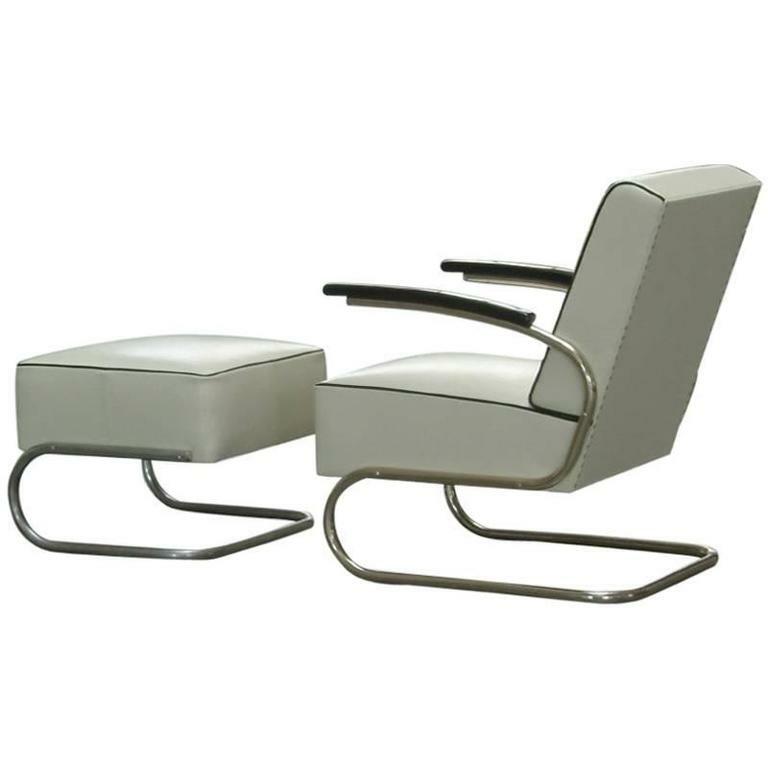 These Bauhaus armchair were produced in the 1930s by Mücke & Melder Czechoslovakia. 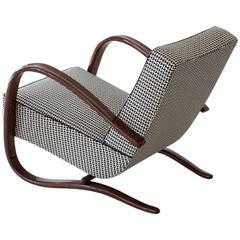 Upholstery and nickel-plated tubular steel construction in good original condition.